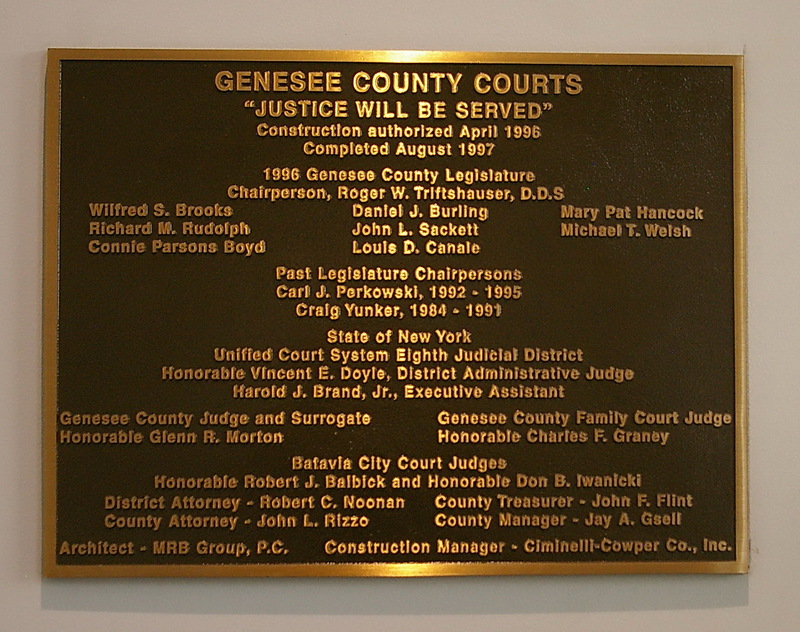 Genesee County is named for a Seneca phrase meaning “good valley”. 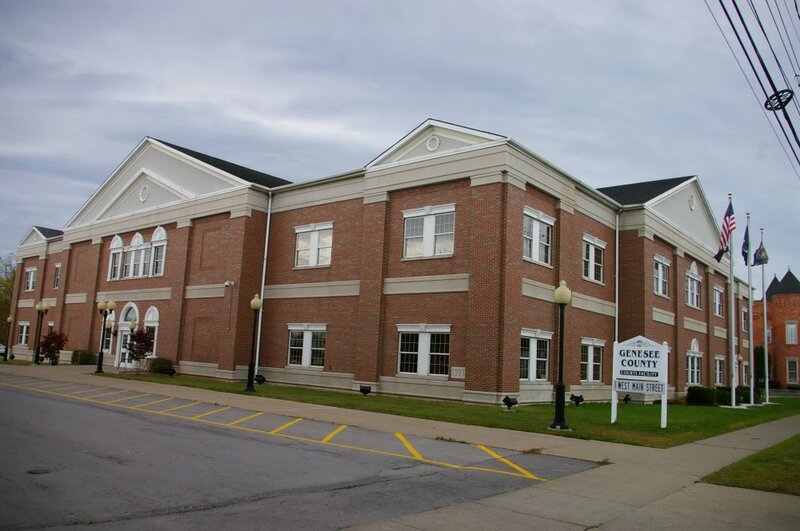 Description: The building faces southeast and is a two story gray Onondaga limestone structure. 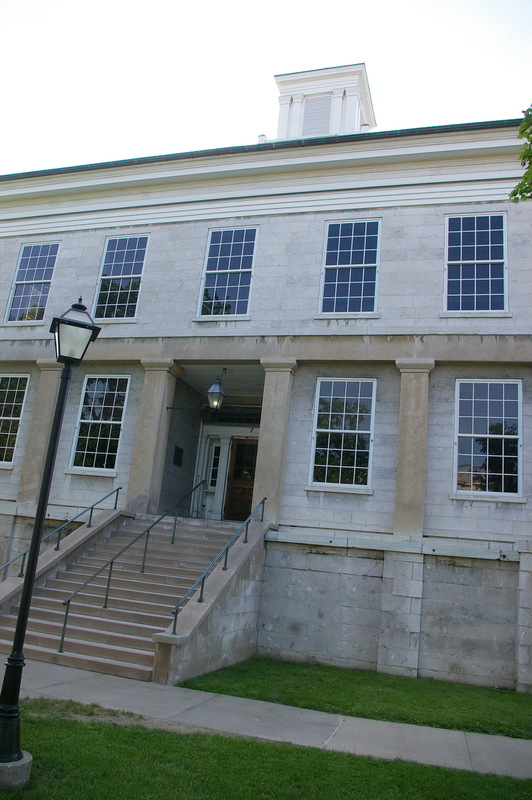 A series of six stone pilasters distinguish the first floor of the front. The central entrance is recessed. On the center of the roof is a square wood cupola. The base of the building is stone. The building was remodeled in 1931. 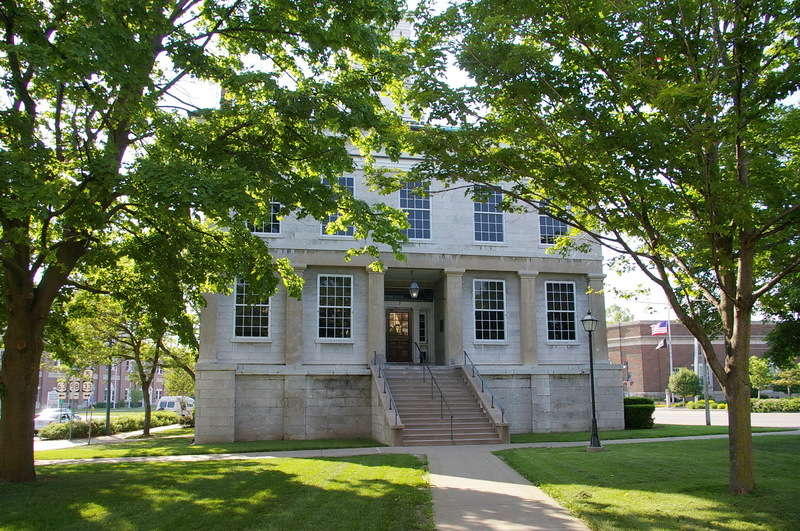 In 1975 the building was renovated. The architect was Conablb Van Kuren & Gertis and the contractor was V J Gautieri. 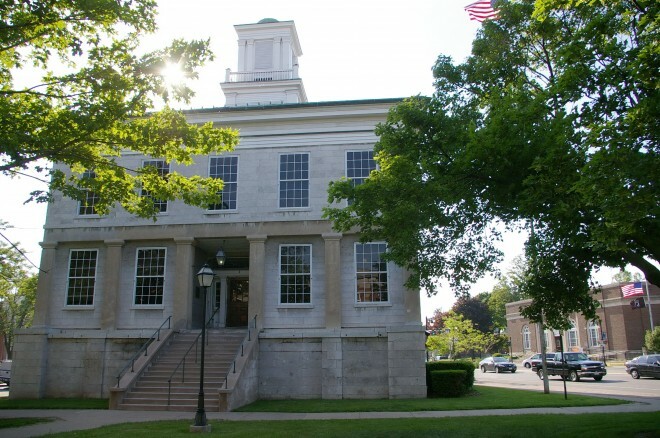 Note: The gray cut Onondaga limestone was quarried from Consider Warner’s farm located in the Town of LeRoy. 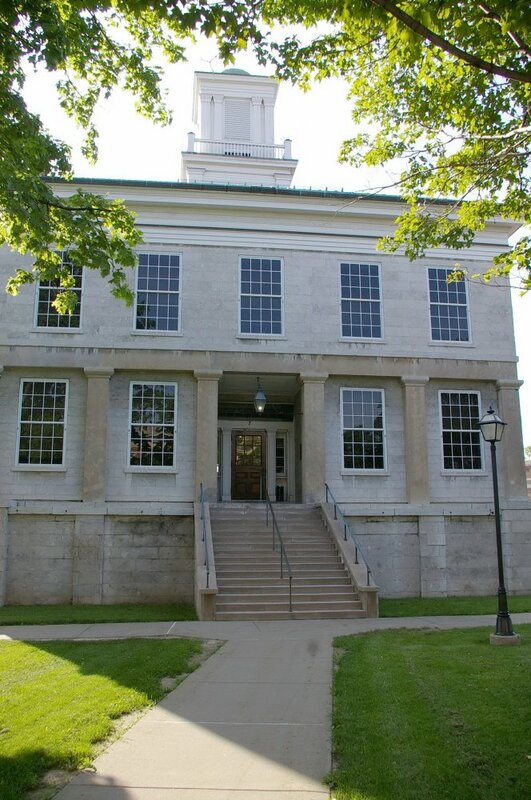 Note: The first courthouse was built by John Elliott for the Holland Company. 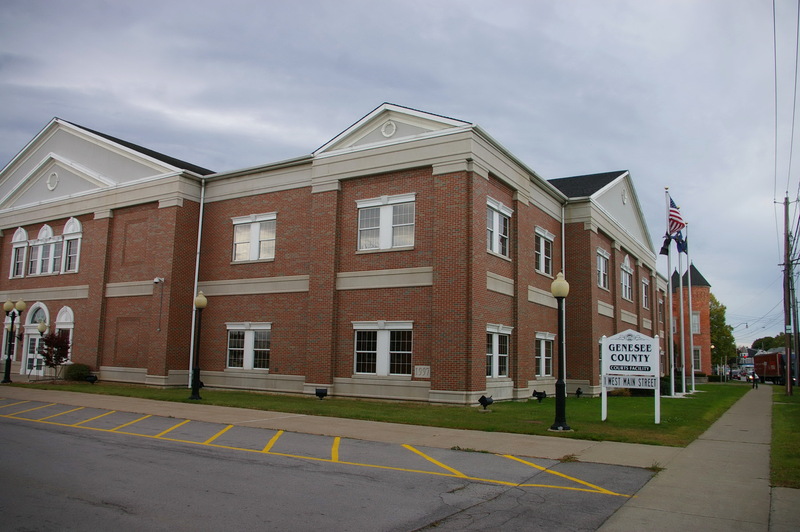 Description: The building faces northeast and is a two story red colored brick concrete and glass structure. 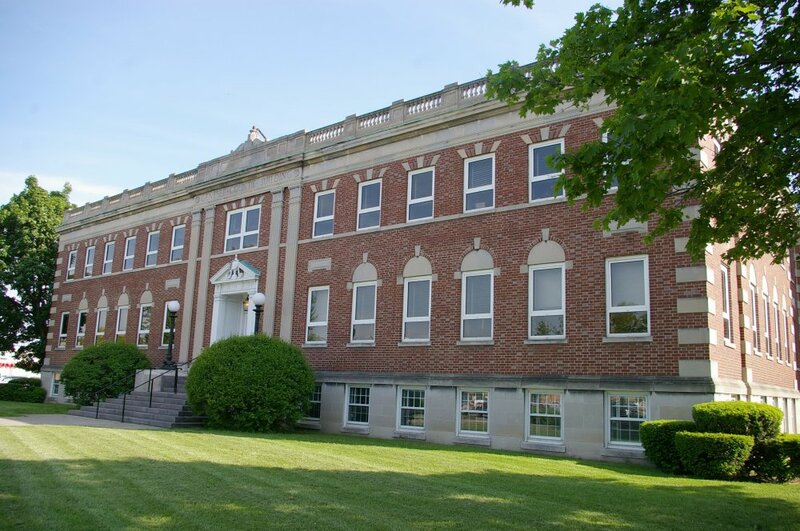 The building has vertical red colored brick pilasters with a central section on the front having a wide pediment at the roof line. A horizontal band runs between the first and second stories. The roof is hipped. 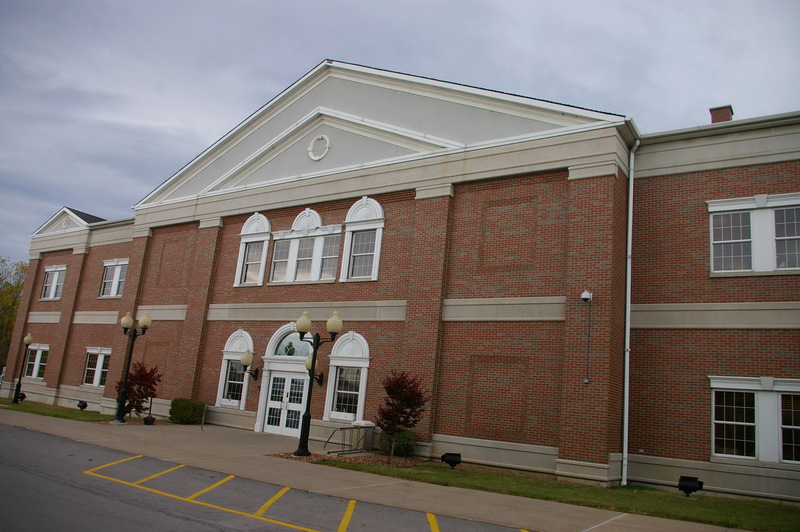 Description: The building faces northeast and is a two story red colored brick, stone and concrete structure. 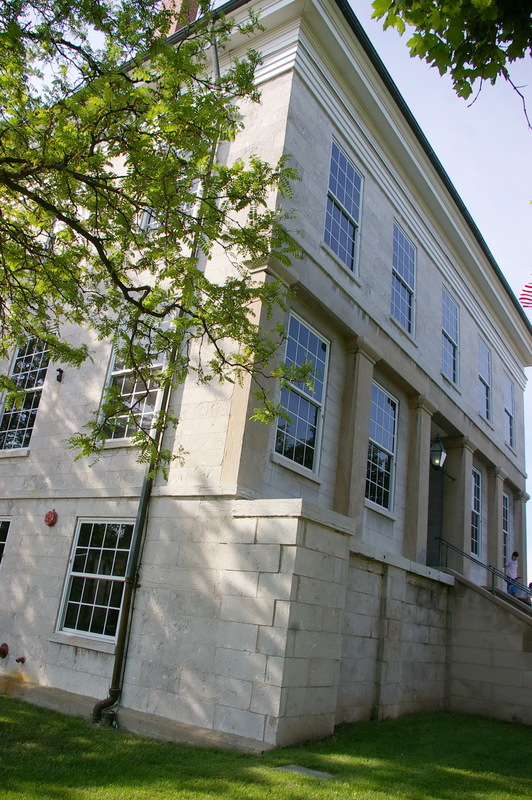 The northeast front has a central entrance which is framed with white colored wood and recessed. Four vertical pilasters flank the entrance. The foundation is made of raised sandstone. Sandstone was also used to highlight window sills and lintels A balustrade runs along the flat roof line. In 1955 the building was expanded, and this annex was designed by Charles Ivan Cromwell of LeRoy. Note: The building was constructed on the site of Ellicott Hall, which was the first courthouse constructed west of the Genesee River in 1902. The building was destroyed by fire in 1912. 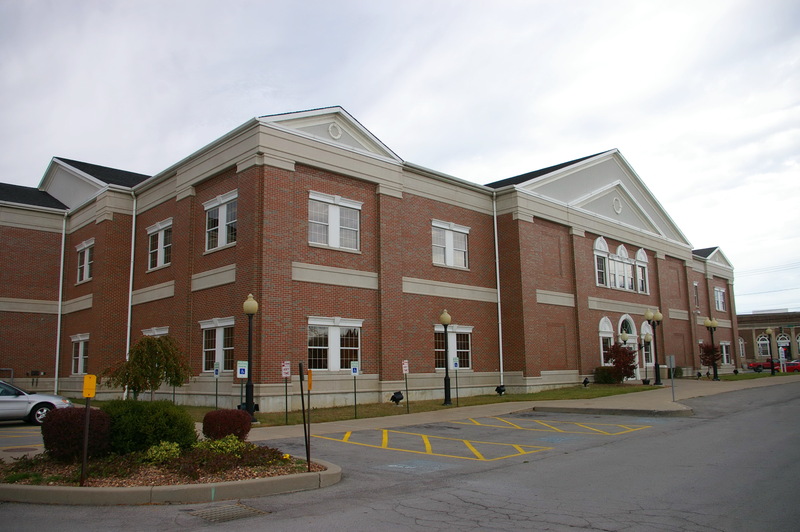 The cost of construction of the county building was $150,000.